Mturk has recently changed their process to send out payments. Before, they used to send paychecks but now, Mturk would be directly transferring money to Mturk worker’s bank account. 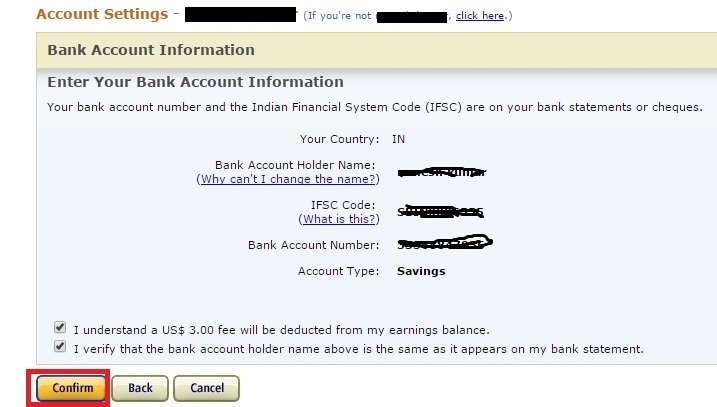 Before Mturk can process a payment request, worker is required to add his bank account details to his Mturk account. I have listed step by step instructions below to do so. If you don’t know IFSC code for your bank branch then check bank passbook, ATM statement or a cheque issued by it. Step 5: Once you have confirmed your bank details, you will get below message about verification process. It takes about 2 business days to mturk to make deposits to your bank account. You can check if deposits are made by checking bank statement. Once deposits are made then follow next steps to complete verification process. Once you have verified your bank account successfully then you can start transferring your mturk earning directly to your bank account. P.S. If, this post helped you in anyway then, please don’t forget to share it with others. Sergio, I don’t think invite style signup works for Mturk. You can directly signup at mturk site once it starts taking new workers.